Whether you are celebrating a Wedding, a Barmitzvah or Batmitzvah, a Special Birthday, a Corporate Event or a Children’s party we have a modern and innovative selection of invites to suit every budget. We will design them for you, produce samples and then print. 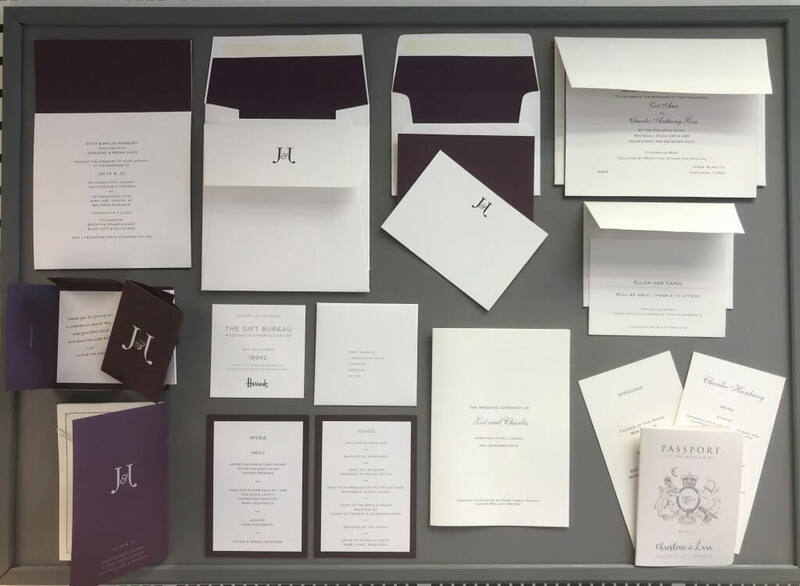 If you require something a little more sophisticated and elegant why not consider Foiling, Embossing and Debossing, Gilt edging and Duplex to name a few of the extra special finishes we can produce. Please contact us on 020 8209 2090 and arrange an appointment to discuss your individual needs.